Chinese President Xi Jinping is currently in Prague to meet with Czech counterpart Miloš Zeman and discuss business ties between their countries. Meanwhile, a famous Czech figure made his debut in China last night. A new series starring the lovable Czech icon Krtek (Little Mole) premiered in China yesterday on the animation channel of CNTV, the web-based national television network. 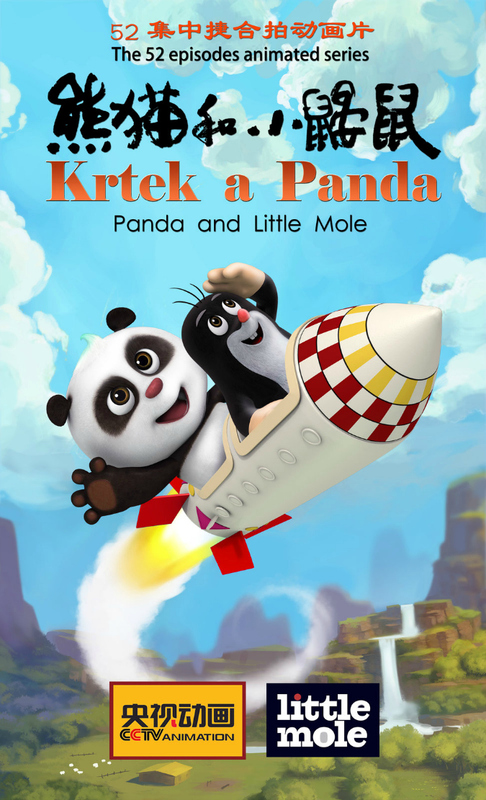 Krtek a Panda (The Little Mole and Panda), is a new Czech-Chinese co-production that was made with the cooperation of TV Barrandov and Karolína Milerová, granddaughter of creator Zdeněk Miler, who passed away in 2011. The new series is quite a departure from the original creation, which was noted for its unique hand-drawn animation and dialogue-free narrative. The new series utilizes 3D computer animation and contains Chinese dialogue. A Czech-dubbed version of the series, which will run for 52 episodes, is slated to premiere locally later this year.